This story was updated May 11, 2017. A few weeks ago, I got a call from Dan, who was listening to my radio show. He lives in the Atlanta metropolitan area, and his property value has dropped significantly over the past few years. He received a tax bill last year that he thought was high. Then, in the fall, he received an additional tax bill that was even higher. He wanted to know if it was worth appealing his property taxes and, if so, how he should go about doing it. I always think it is worth appealing your property taxes. Let’s face it—you have nothing to lose. There is no penalty for appealing your taxes and being turned down by the tax assessor. But if you’re successful, and your taxes are reduced, then you’ll save hundreds, if not thousands, of dollars. And future increases will be based on your lower tax assessment, which means appealing your property taxes is the gift that keeps on giving. Check for tax record errors. Go to your county assessor’s office and take a look at your property record card. You’ll need the parcel or property index number (PIN) to get your property record card (hint: your tax bill has the number).The card lists the physical characteristics of your house, such as the square footage, number of bedrooms and bathrooms, and garage and lot sizes. Many times, a house will be over-assessed because the property record card contains errors; for instance, it might say you have six bedrooms instead of the three you actually have. The property inspector might have to do another examination of the property, or you may be able to use photographic evidence to support your claim. Clearing these errors could lower your tax bill. Demonstrate the market value. The tax assessor decides your home is worth a certain amount, and then you are taxed on that assessed value. However, if you can prove that your home isn’t worth nearly what the assessor thinks it is, you should have grounds for a successful appeal. For example, let’s say the assessor thinks your property is worth $150,000. But you just bought your home, a foreclosure, from the lender for $50,000. If you show the assessor that you paid just $50,000 for the property, that’s fairly compelling evidence that the market valuation of the property is a third of the assessed value. Use the assessment ratio. Every county has a standard assessment ratio. If your county’s is 50 percent, you want to make sure you’re not being taxed at 75 percent. Look up properties that have sold in your neighborhood during the past year that are similar to your property, and find out how much those homeowners paid in property taxes. Calculate the assessment ratio by dividing your property tax by the property’s assessed valuation and figure out if you’re paying more or less. If more, construct documentary proof (photos of the homes alongside tax bills and sales amounts) that shows the assessor your tax bill is out of whack. Take note of environmental factors. Did the state just build a power plant in your backyard? Do you have a new highway running through your neighborhood? What about the garbage dump that just opened up down the road? 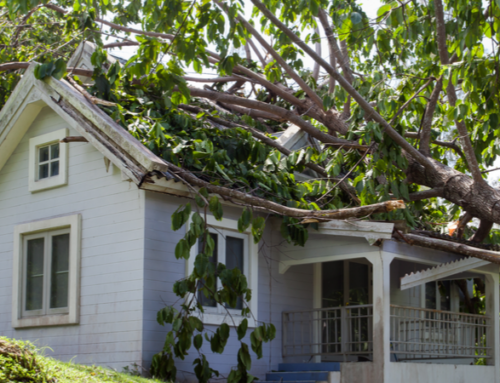 These “negative” environmental factors might have lowered your property value. If they have, use them to fight for lower property taxes. It’s worth appealing your property taxes on an individual basis. After all, why should you pay more than your neighbor? But counties and municipalities need our tax dollars to pay the salaries and benefits of those who keep our parks in good shape, run our libraries and village halls, clean and repair our streets, and pick up our garbage. And, particularly now, state, county, and local governments are running short of funds. If enough homeowners successfully appeal their property taxes, state, county, and local governments will have to raise either the tax rate (the rate at which property is taxed, usually expressed per hundred dollars of value) or the state multiplier, which is also known as the state equalization factor (a number the state assigns to each county, depending on the assessment ratio, that raises or lowers the assessed valuation to a state-mandated level). In short, your individual tax assessment might go down, and your bill might go down. But if your state runs short of funds, you might ultimately see your property tax bill go up. Still, it’s worth appealing your property taxes, because even if your tax bill goes up, it will go up less than if you hadn’t appealed. For more information, contact your county tax assessor’s office and find out what you need to do to appeal your property taxes, the dates by which appeals have to be filed, and whether you’re entitled to appeal your appeal (just in case you don’t like the result).